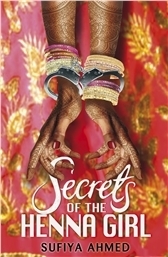 Zeba Khan is like any other sixteen-year-old girl: enjoying herself, waiting for exam results… and dreaming of the day she’ll meet her one true love. Except her parents have other plans. In Pakistan for the summer, Zeba’s world is shattered. Her future is threatened by an unthinkable – and forced – duty to protect her father’s honour. Categories: Social/Family | Tags: Sufiya Ahmed | Permalink.